Thanks for shopping – by bike! 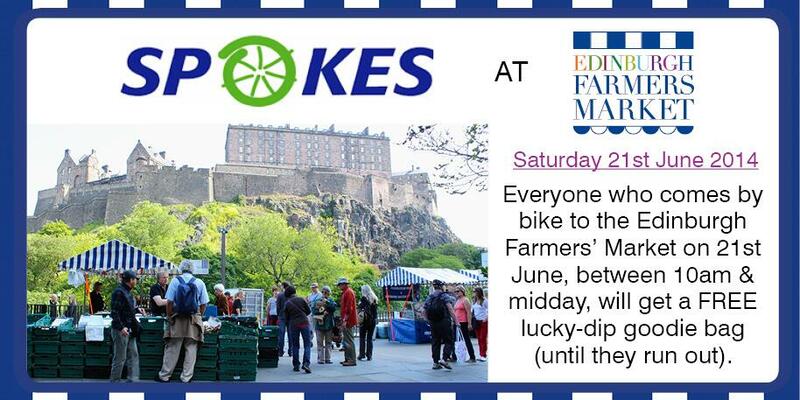 To encourage bike use for ‘ordinary’ purposes Spokes ran this Thank-You event as part of Edinburgh Festival of Cycling 2014. 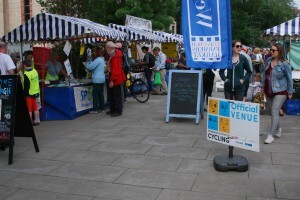 Everyone coming by bike was given a flyer as they parked, entitling them to a goody-bag at the Spokes stall. Over 80 bags were handed out. Some people were regulars at the Market, surprised (and delighted!) to be rewarded, others had been attracted by articles and tweets from ourselves and from the Market. Two shoppers said they were former Market customers who had lost the habit and were very pleased to be reminded and given an incentive to come back. Our stall was busy almost constantly, with the usual wide range of information and Spokes maps as well as the special event materials. Five households joined Spokes on the spot and others took membership forms. Everyone was also told about our summer competition – it’s still on and there are some great prizes on offer so please have a go too! 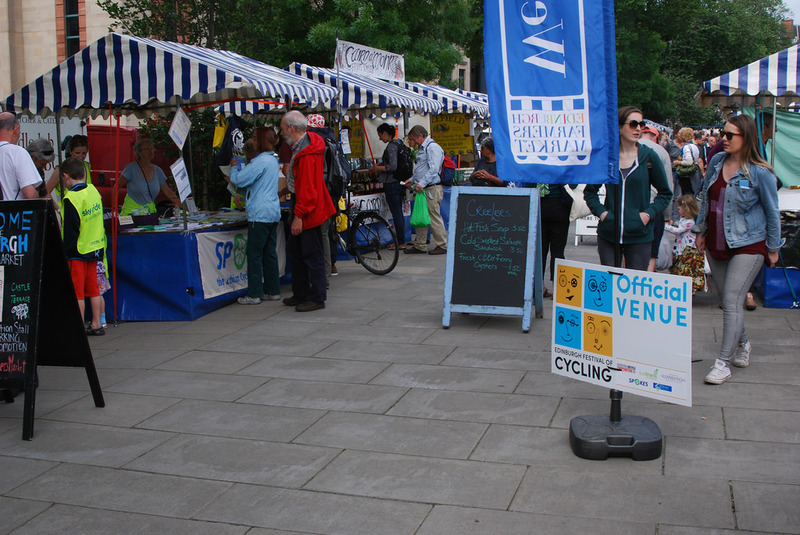 Our stall organiser said the funniest moment was two guys in skin-tight lycra trying to find somewhere to stow their goody-bags! Another reason for doing your everyday trips in your everyday clothes! !